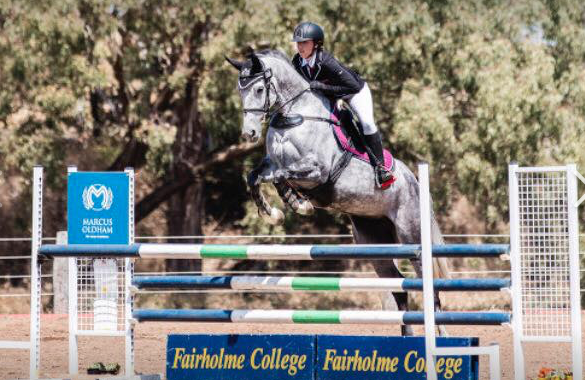 My name is Shania, I am 16 years old and I’m a Queensland Show jump rider. 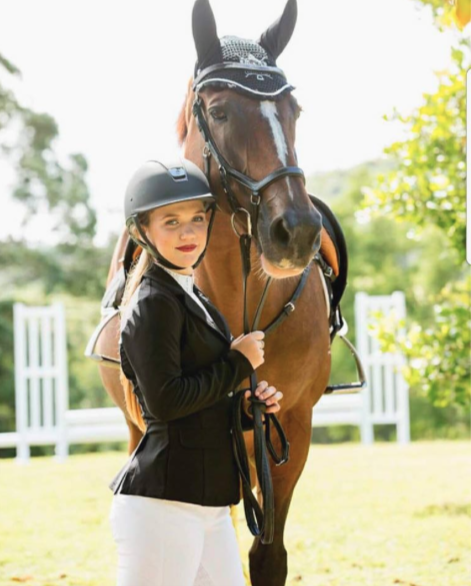 Some things about me, I have recently started competing 1.10 Juniors, I’m in grade 12 at school, I compete nearly every weekend on my horse Delago Bolt. 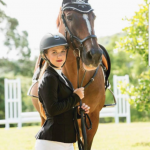 Growing up in the horse environment I have seen riders getting to grade 12 and dropping horse riding as a sport, because they are unable to put time into both. I would never be able to see myself dropping horse riding because I couldn’t find the time for it, horses and riding are my life, without it I would have too much spare time time! 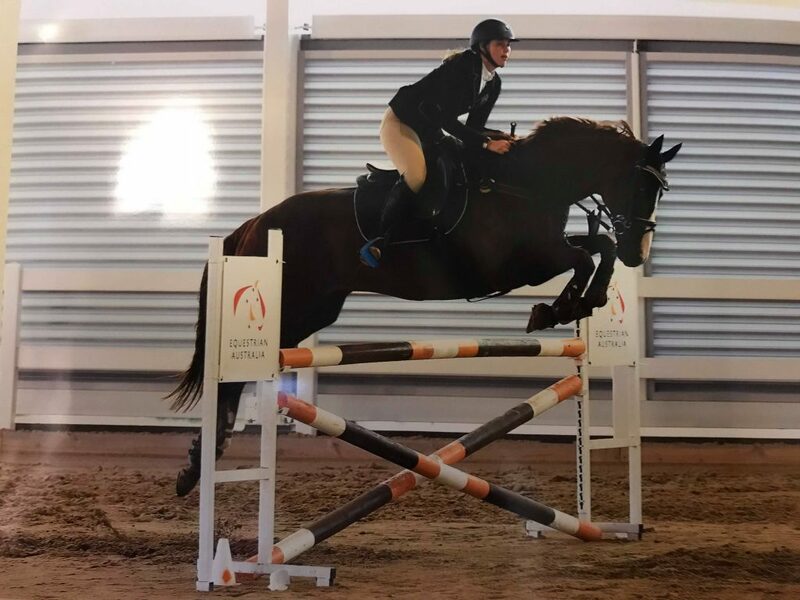 Each year with my horse I set myself goals; for example my goal for 2018 is to make the Inter School National Show Jump Team, which compete down in Melbourne towards the end of the year. To achieve this goal I need to be able to ride my horse everyday, be open to have lessons in the afternoons, compete on weekends, look after my horse by feeding them, brushing them, mucking out their stables and watering them, but I also need to pass school and graduate. So I have to make time for both. On school holidays doing all this in one day seems so easy as I don’t have homework and study, I don’t get assignments or have any exams, I’m not coming home exhausted from sitting in a classroom all day. Most of the year I have to balance all these things with riding! 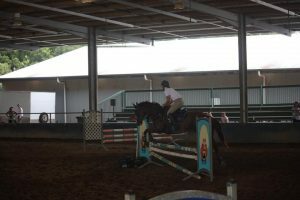 Both school and riding take a lot of effort so between the two my days are long, but so worth while. Q1) How do I keep up with school work? A1) I either do it as soon as I get home from school or I take it away to competitions with me so when I’m not riding you will find me sitting at my float studying or completing my homework. Q2) How do I have time to compete every weekend? A2) I will occasionally take one day off of school a month for a local show but then when I get back to school I catch up with the work I have missed. With the weekend competitions I will make sure I am up to date with all my school work and assessments, I will also try to do extra study. If I know that I will be away I will approach my teachers and get the work my class would be doing on that day. Q3) How am I passing school? A3) I am passing school because I make sure that I’m doing all the work that’s needed to be done, I am keeping up with all my study and I hand in all my work on time. Q4) How do I look after all my horses? 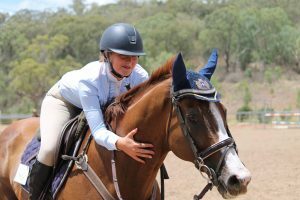 A4) Looking after my horses seems easy in some people’s eyes but truthfully it does stress me out, I have to make sure that my show jumper’s are worked every day so that they are at their best and they get the correct care that they need. They also need to have plenty of water and properly fed. Every morning I get up to put out three horses, clean their yards feed them and water them. In the afternoon I come home from school and have to work two of the horses before dark, I also have to feed, put into their stables, and do whatever extra care they need. – Plan ahead, if you know that your going to miss a day of school be organised and get the work earlier. – Do extra study wherever is possible in your schedule. – No matter what school comes before anything, take your assignments away with you and complete it between classes. – Pay 110% attention in class so your not behind and you are keeping up. – Make sure you give your horse attention before and after school between all your homework and study. Don’t think it’s impossible because no matter what people tell you, you can make time to do both. Don’t start stressing over these things just be practical and prepare early. School is important, it’s where you learn about life and figure out your future. If you are like me and horses are a big part of your life, remember that you can only achieve them if you work hard and put the time into it. Make a plan, ask for help, work hard and stay persistent!